Ground cardamom is very fine, almost like a powder. It is a common ingredient in Indian cooking. While cardamom is one of the most expensive spices by weight, only a little of its powder is needed to impart its flavour to a dish. To make cardamom powder, first crack the pods and remove the seeds. Then grind them finely or coarsely. The skins are either discarded or mixed into tea leaves, to give a faint fragrance to the tea. When making slightly larger quantities of crushed cardamom in a spice grinder or mixer, some people like to crush it with the pods in order to ensure a better grind and to prevent the powder from caking. 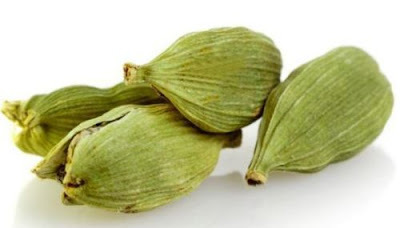 • If making cardamom powder at home, choose the greener cardamoms as they have the best flavour and aroma. • If buying readymade, choose a tightly-sealed package, and check the use-by date to ensure freshness. • Avoid old stocks, as ground cardamom tends to lose its flavour and aroma soon. 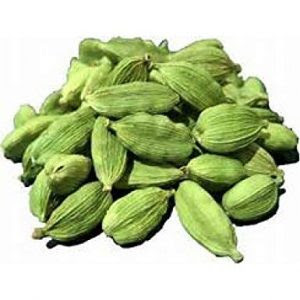 • Cardamom powder is widely used in Indian sweet dishes, ice creams, milk specialities, and hot masala milk. • It adds flavour and aroma to many rice dishes, vegetables and other richly-flavoured dishes. • It is used as a traditional flavouring in coffee and tea. 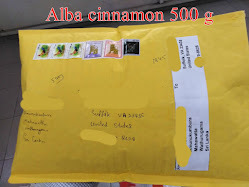 • Ground cardamom tends to lose its flavour and aroma soon as it loses its volatile oils. • Hence, prepare in small quantities and store in an airtight jar in a cool, dry place. • Also, a small amount of it can be stored in a bottle for daily use and the rest can be kept in a refrigerator. • It is best used within three months. • It stimulates the digestive system and reduces gas. • Its expectorant action improves circulation to the lungs and thus considered good for asthma and bronchitis. • Can counteract excess acidity in the stomach. • Stimulates appetite and cures halitosis (bad breath). • An infusion made by boiling a couple of pounded cardamoms in a cup of water along with few mint leaves, relieves you from hiccups.